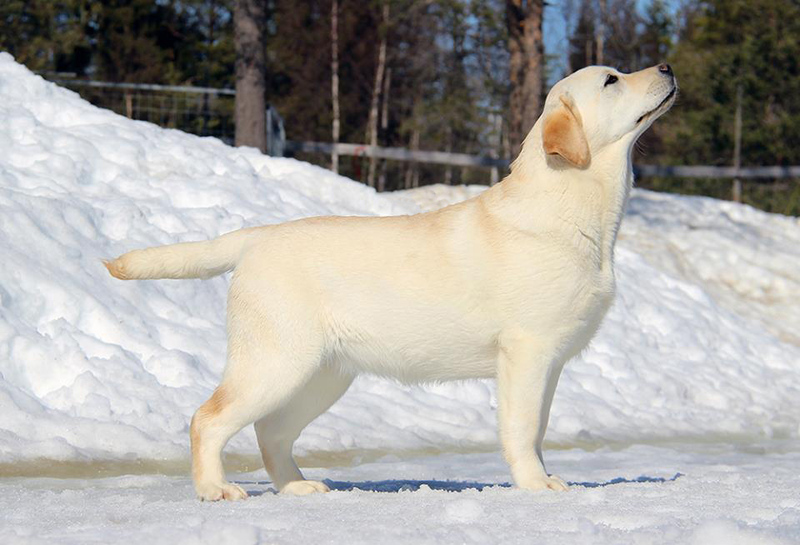 "Made" is our promising yellow female from Mocnys kennel, daughter to the beautiful "Sylvi" who is co-owned with Tiina-Loviisa Rönkkö, Mocnys kennel. She is 7 months in the picture. She has A/A hips, 0-0 elbows and she is EIC, HNPK & PRA "clear by parentage". Made has been shown twice in puppy classes, both times BOB puppy.